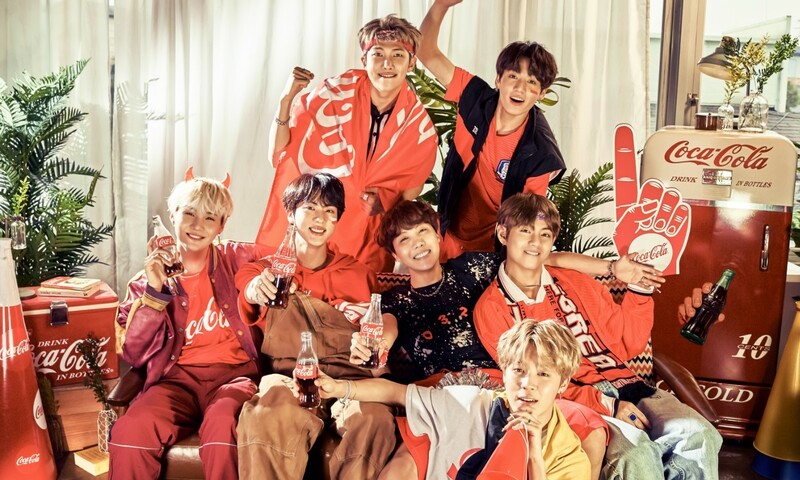 Coca-Cola will be releasing a special edition package with BTS members printed on the cans and bottles. On July 16, the soft drink manufacturer announced its plan to launch the specially packaged drinks by the end of the month. 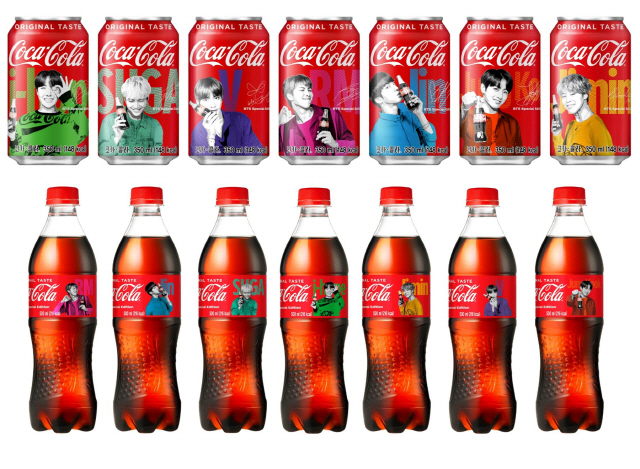 To be released limitedly in South Korea, “Coca-Cola BTS Special Package” drinks will come in 14 designs, with each of seven members’ mugs printed both on cans and plastic bottles. In the unveiled image of package designs, each member is posing, holding a coke bottle in his hand. Each member is printed in a different color which represent his personality. The product will be available from local markets and convenience stores in Korea.